It is highly likely that if your employee is living in an apartment, the Landlord may ask them for a letter of employment. It is important to know that most Landlords will not just take the word of your employee on what they do and how much they earn monthly because they have dealt with a number of tenants, who ended up giving false information about their work profile. 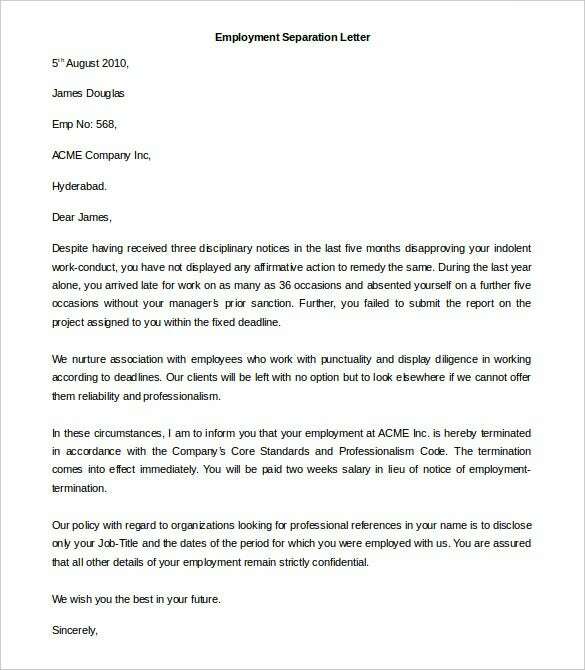 You can also see Reference Letter Templates. 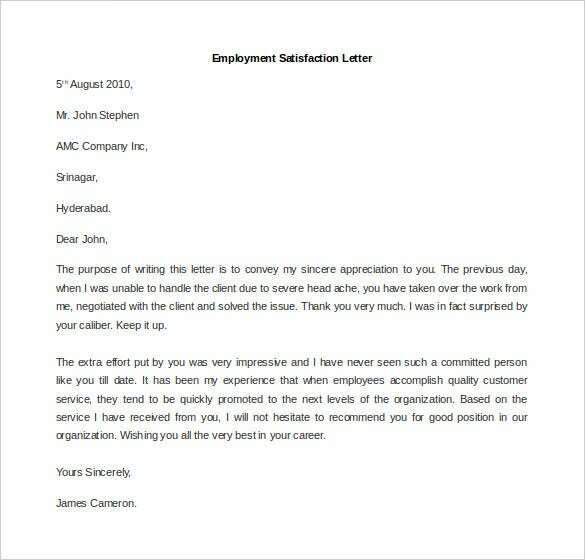 Employment letters are always something which is sought for, by prospective candidates. These letters often begin with a Congratulation note to the new recruit notifying the date of joining, the location of joining, and the designation as well the annual cost to company, and other related information which is important for the joining formality. 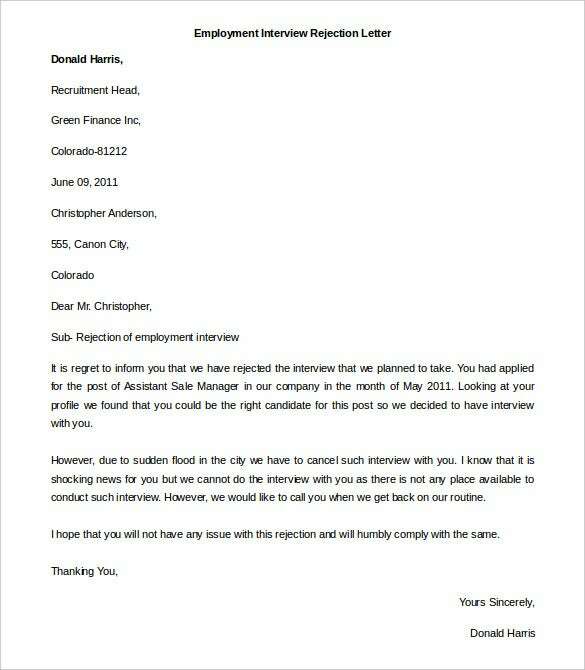 Interview rejection letters are often used to convey an unpleasant incident to applicants wherein the employer due to certain unavoidable circumstances, has to cancel the scheduled interview with the candidate. Such letters should clearly mention the reason of such cancellation along with an assurance of consideration as soon as the routine processes resumes. Employment job applications are mostly drafted to apply for an open position in an organization. 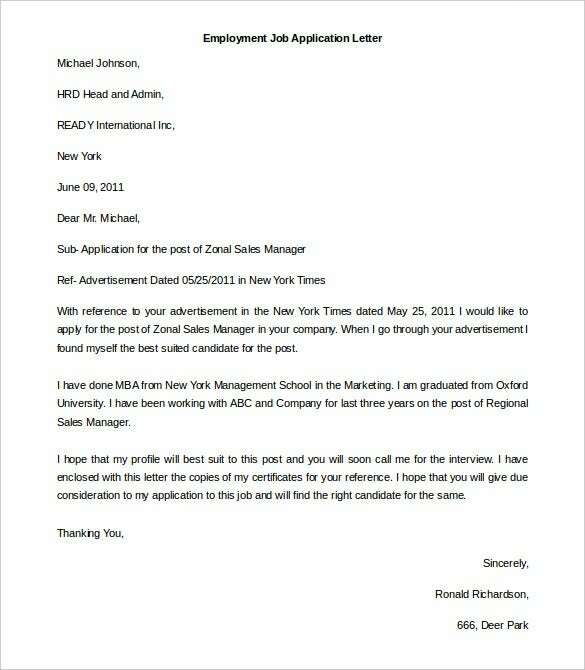 Such letter should clearly mention the place from where the candidate knew of the job opening, the qualifications and relevant experience of the candidate along with the contact points using which the employer could contact the applicant. 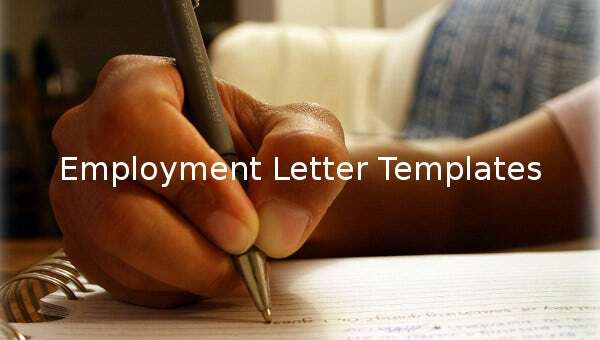 Employment joining letter should be printed in the company’s letter head and should contain the role for which the candidate was selected, the compensation as well as the effective date of joining and the location to report to. 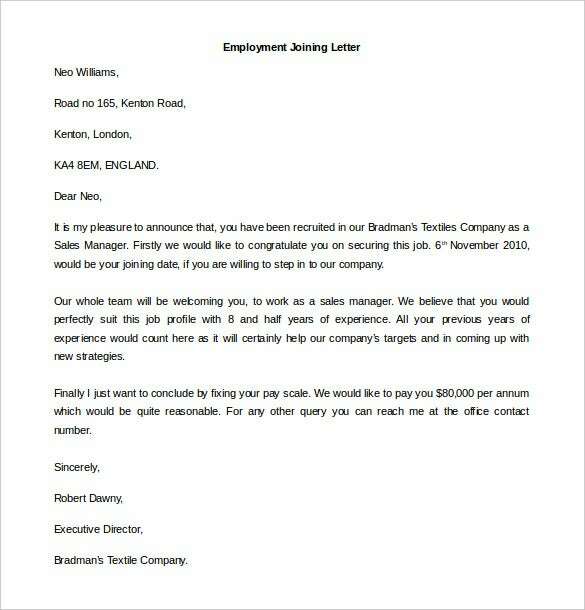 These letters should be duly signed by senior management or the human resource department to ensure authenticity and reliability of the same. 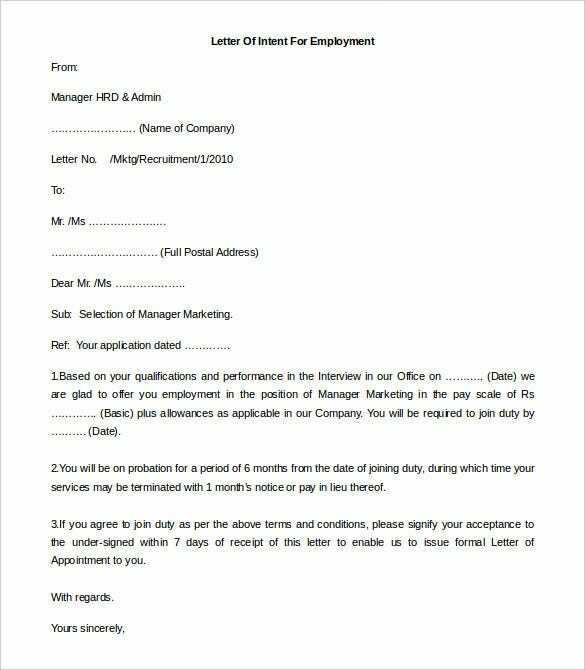 Employment letter of enquiry should be formatted and drafted in such a manner so as to enquire about the relevance of candidature of the applicant based on the job profile at hand and the qualifications and experience of the applicant. Such letters should emphasis on the experience gained by the person in related domains. 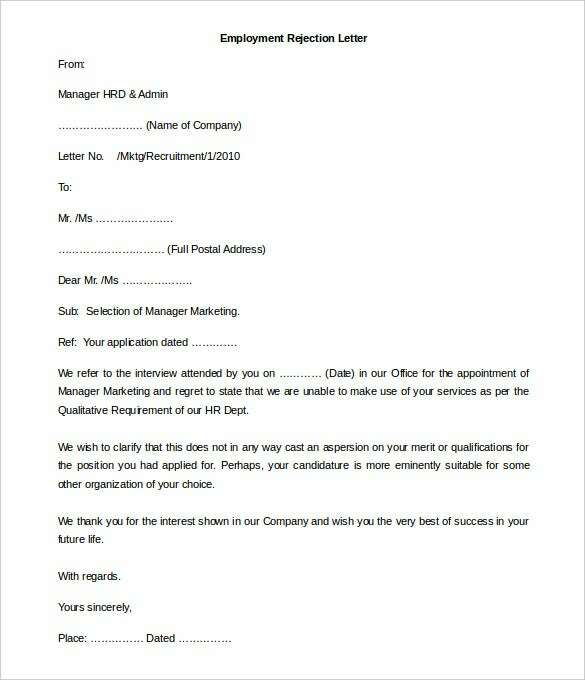 Employment recommendation letters, though are not mandatory for the recruitment process, do add a lot of value to the candidature of an applicant. Recommendation letters should cover two major facts – the relation of the referrer to the applicant and the projects or any other research work which they have done together wherein the applicant excelled. Research on employment and salary matters reveal that most tenant actually give false information when asked to profile themselves as workers from a given company or institution. Some employees will lie about the company they work for, exaggerate their compensations and embellish their title, hoping that doing so will increase their chances of securing an apartment with the tenant in question. But because Landlords are not smarter, they are cracking down on this kind of falsehood by asking employees (tenant) to verify their employment information, hence the need for an employment letter for the employee in your company. 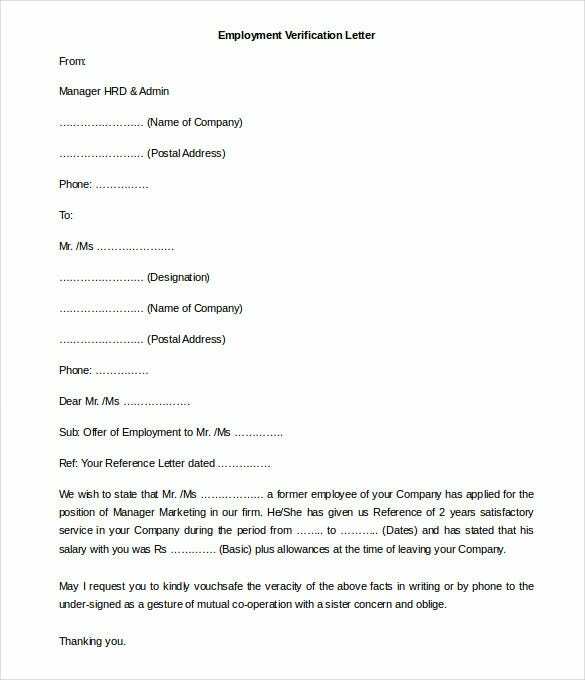 Employment Letter Template Description: Start the letter templates by writing the current date and then clearly note down your contact information. The contact details should include your name and address as an employer of the company. 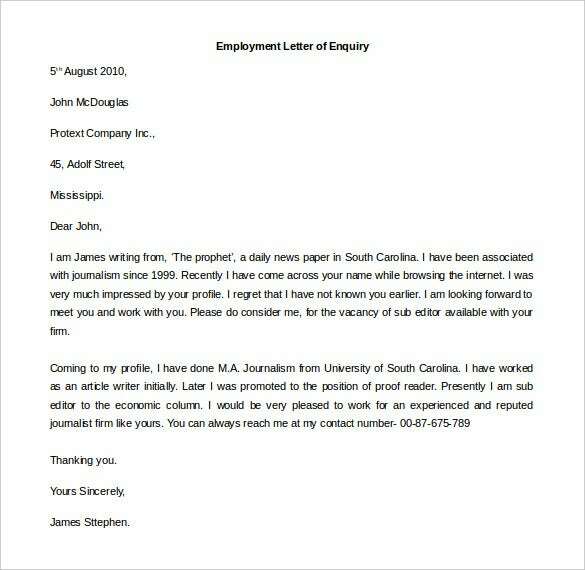 Start with greetings and then create a subject line for the letter of employment. 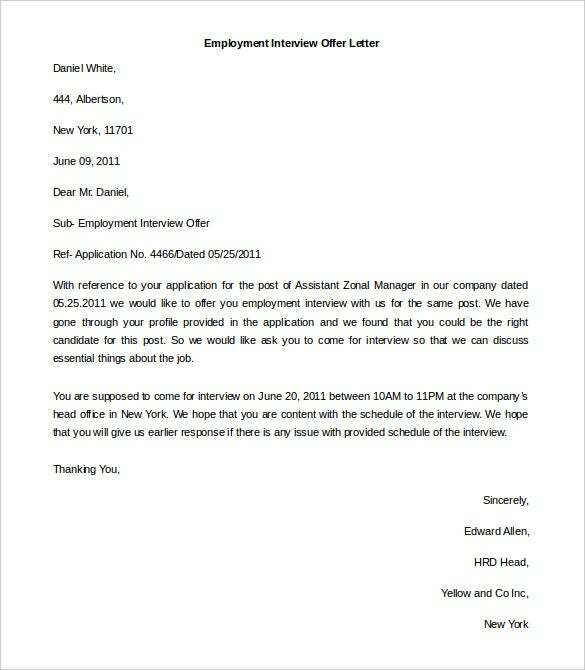 Start the description of the letter with the employee’s name, the name of the company and the date the employee was hired. Talk about their compensation information and clearly state that you will be available for answering any question should there be a need. 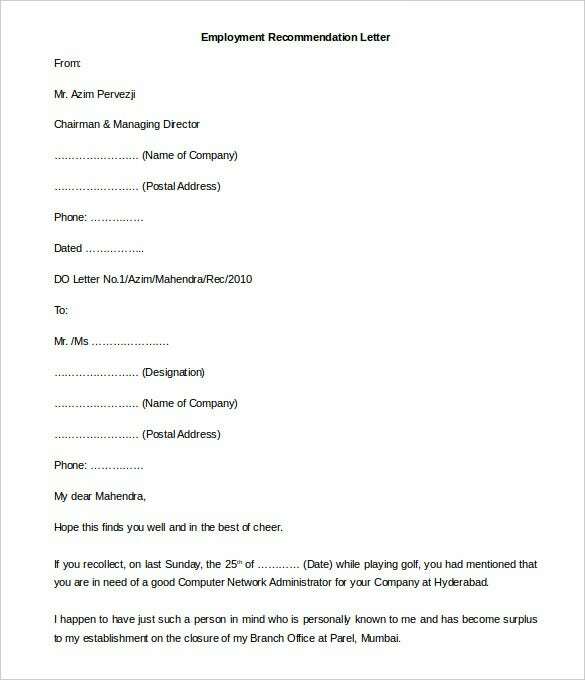 Close the letter by including your name and sign.